Image courtesy Freedom Architects Design. In Japan’s made-to-order housing business, each design is unique. 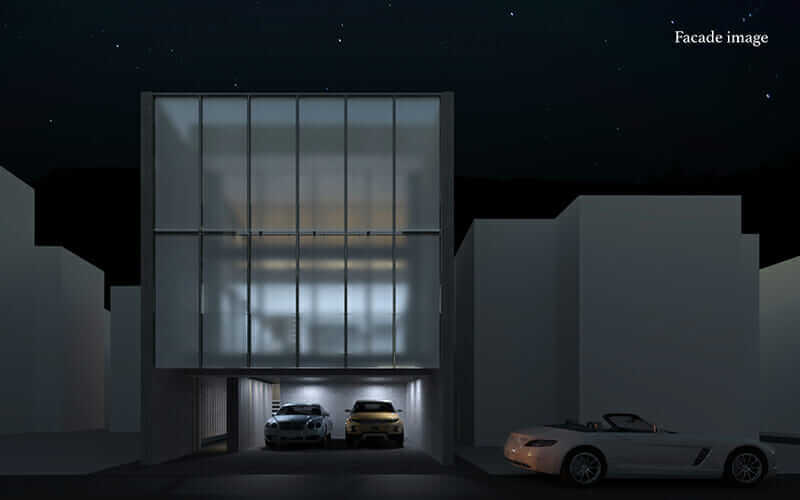 The architect puts their ideas into a plan, created to closely reflect each client’s needs—and normally, conveys this plan to the potential homeowner through blueprints, models, and CG renders. 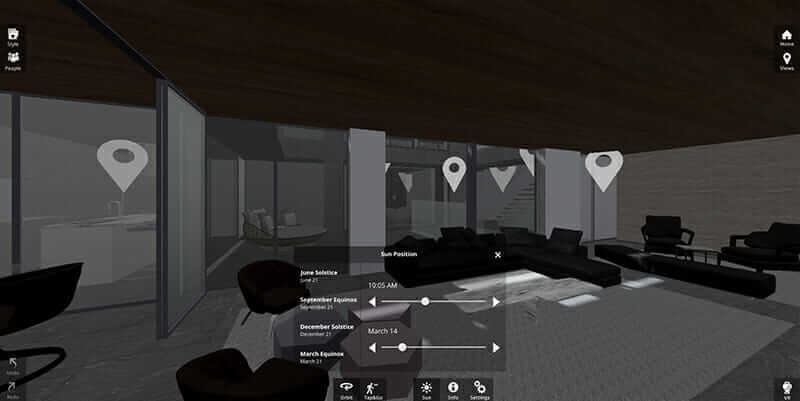 But adding a VR-based virtual showroom to this toolkit has allowed more interactive client collaboration and better visualization of the finished product. Freedom Architects Design, a Japan-based architectural design firm with 16 studios and more than 20 years of history, builds approximately 400 made-to-order homes each year. In February 2017, the firm began offering VR walkthroughs for clients as part of its process. Until recently, virtual reality in architecture was available in Japan only through major general contractors and home builders. 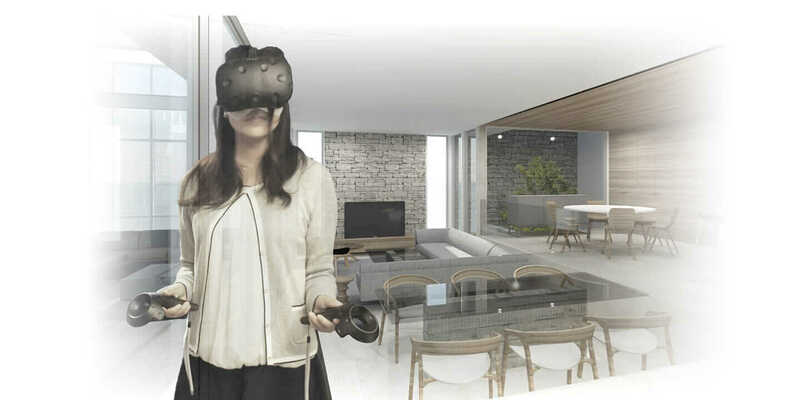 Now, Freedom Architects is rolling out its own VR Architects System, a new initiative for the made-to-order housing market. The system lets clients, wearing head-mounted displays, fully explore a potential home’s interior. Using VR visualizations of homes during the design process, it’s possible to determine and implement changes before breaking ground. A sample of work by Freedom Architects Design. Courtesy Freedom Architects Design. In August 2016, Freedom Architects became the first firm in Japan to receive certification for a building plan through the submission of BIM data, which was created using Autodesk Revit. This first-ever BIM-based architectural certification was a cooperative effort by the Otsuka Corporation, Autodesk, and the Jutaku Seinou Hyouka Center (Housing Performance Evaluation Center) Corporation. Now, Freedom Architects’ new initiative to introduce VR takes its use of BIM to the next level. 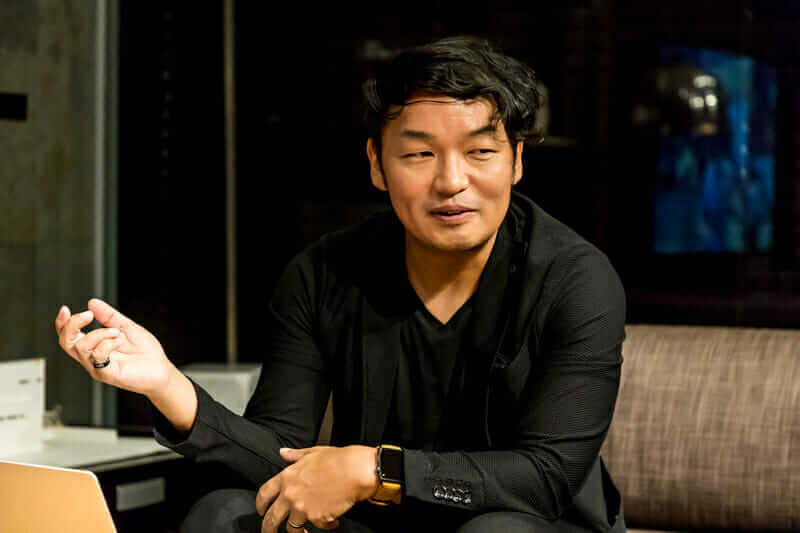 “When we surveyed our customers, they overwhelmingly requested the ability to explore their homes using VR as they were being designed,” says Makoto Nagasawa, Freedom Architects’ director of development. 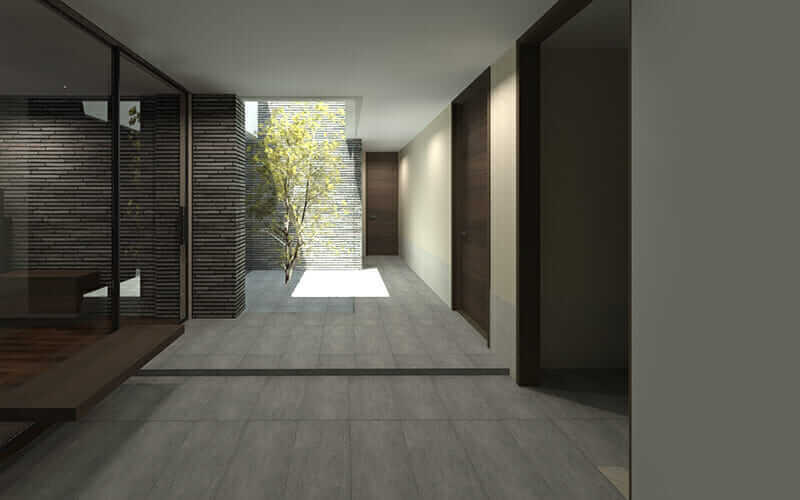 The company realized if VR could be used to let clients realistically “walk around a home” during its initial design stages, those clients could more quickly understand the architect’s vision and make specific requests of their own. Clients who tried Freedom Architects’ VR system responded favorably; with the system, experiencing the space made design plans very easy to understand. One client was able to walk from the kitchen to the laundry room and see how many steps it would take to get there. Another client was wondering where to store some favorite large plates, and was able to explore the kitchen to find an appropriate shelf. A couple with an eight-inch difference in height “stood” in their virtual kitchen; the husband observed, “Isn’t this range hood in the way?” and the wife replied, “I didn’t notice that at all from my height.” During these VR sessions with clients, a large monitor displays the client’s point of view, which allows Freedom Architects’ staff to observe and understand how clients see their designs. Through this visual reference, they can better understand their clients’ needs beyond their specific requests. 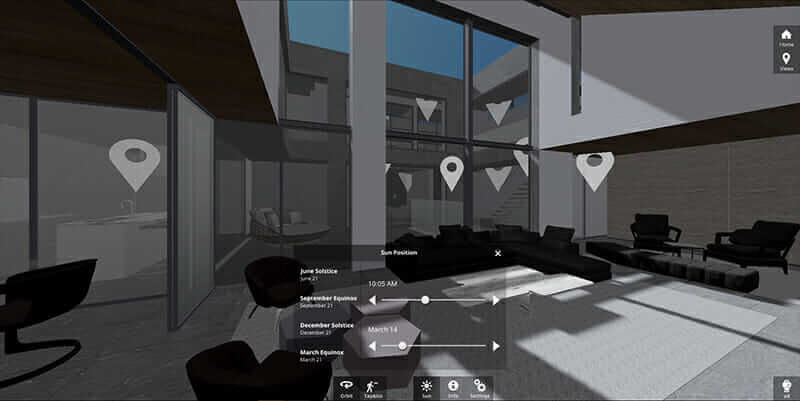 In Freedom Architects’ immersive-visualization process, design data created using Autodesk Revit is converted to Revit Live data through its cloud service. Then, the game engine and real-time rendering software Stingray is used to visualize that data more realistically. Freedom Architects uses HTC Vive head-mounted displays to provide VR environments that clients can then “walk” through. Makoto Nagasawa, director of development at Freedom Architects Design. Courtesy Freedom Architects Design. Even environmental influences such as sunlight are precisely simulated in these VR environments. In one example, a client requested a design in which the morning sun would fill a bedroom. A long, wide window was added to meet this demand, but simulations showed that sunlight would not shine into the room until 10 a.m. By changing the wide window to a taller one, the design was adjusted so that sunlight would stream into the room at an earlier hour. “Until now, architects would realize certain aspects of their designs only when they could see the completed building,” Nagasawa says. “There is always something you notice with your own eyes, something you wish you could change after the fact. Experience from numerous projects helps architects develop their sensibilities in this respect, but there remains a gap of about a year from the time plans are drawn until a building is completed. However, VR allows you to experience and explore your own designs in a matter of hours. Furniture and appliances can also be input into the BIM data. This allows these objects to be viewed in a way that accurately re-creates their proportion and placement at a level of detail that includes shape, color, finish, and texture. 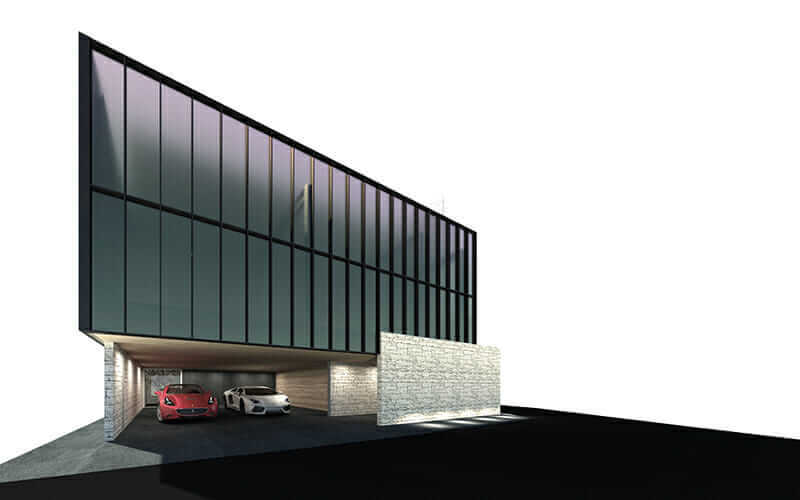 A rendering of a home being designed including a simulation of sunlight. Courtesy Freedom Architects Design. The initial plans confirmed that not enough sunlight would enter the room. Courtesy Freedom Architects Design. The plans were modified to allow more sunlight into the room, depending on the season and time of day. Courtesy Freedom Architects Design. A saying about home building goes, “Build three houses to get the one you want.” But what if you could use VR to examine every nook and cranny of a home before it was built? Nagasawa says that “a home designed in VR is the first iteration.” When both architects and their clients make use of VR, they can share a concrete image of the home they are building while exchanging ideas, making their interactions literally and figuratively a constructive process. This results in greater satisfaction in the finished home among all involved parties. Using this technology, the client works alongside the architect in an ideal approach to home building. 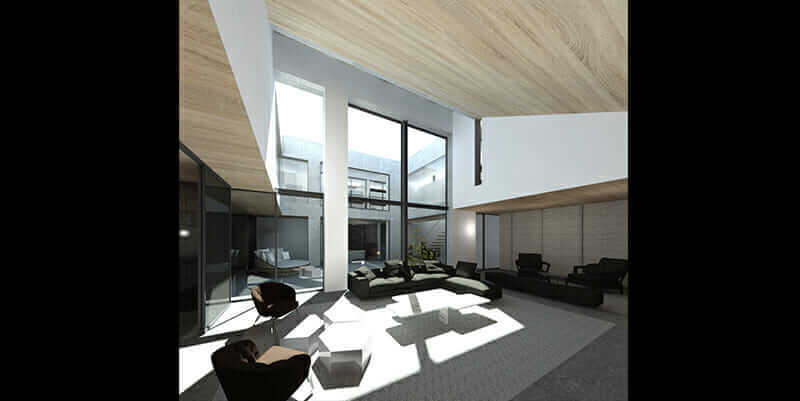 Once lighting and acoustics simulations become more widely available, the home-building industry will find even more applications for VR in their work.